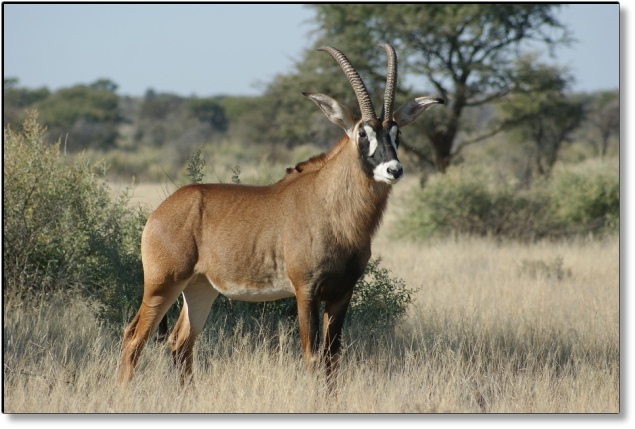 Identification: Second largest antelope. Both sexes are horned. Grey brown in Colour. Very long ears with a tussle of hair on the end. 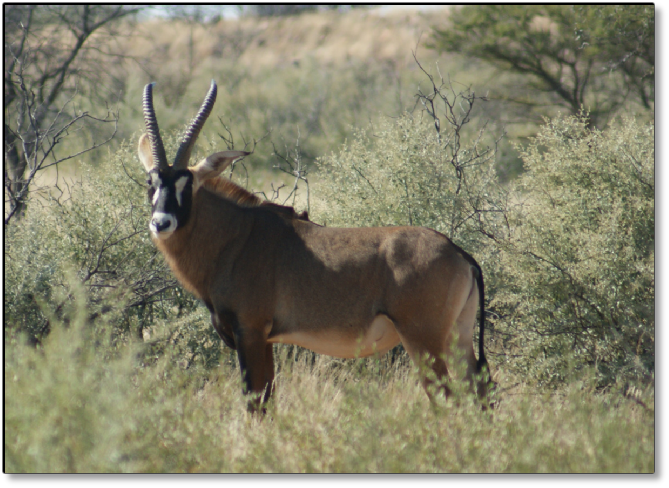 Dark face with a white patch on each side of the face stretching from the base of the horn downwards to the side of the face, around the nose, both lips, chin and throat are white. They have a mane as well as long hair on the lower neck. Size: Shoulder height +/- 140cm. Weight +- 270kg. Habits: Live in groups of up to 30. Not very aggressive but has territorial behavior. They are grazers and prefer medium to long grass. Calves are born any time of the year. Distribution: Zambia, Malawi, Mozambique, Zimbabwe, Northern Namibia & South Africa. The Roan Antelope is one of the most valuable wildlife species in Africa. The species offer an excellent return on you investment with a calving interval of 10 months. 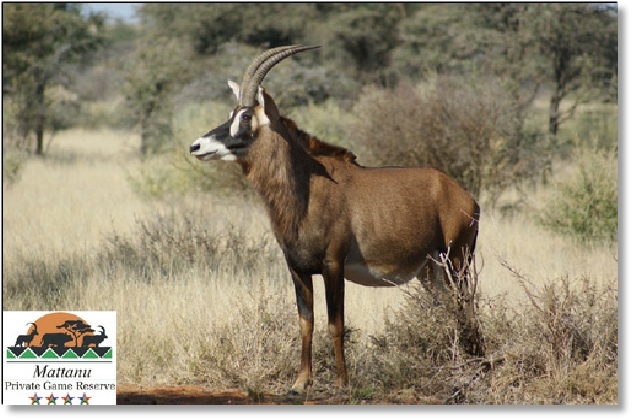 The Roan is a selective grazer and easy to farm with in a suitable habitat. The prices of Roan has soared since the Malawi importation of 1991. We offer excellent genetics at Mattanu and it’s common to see a 30” plus Roan bull.